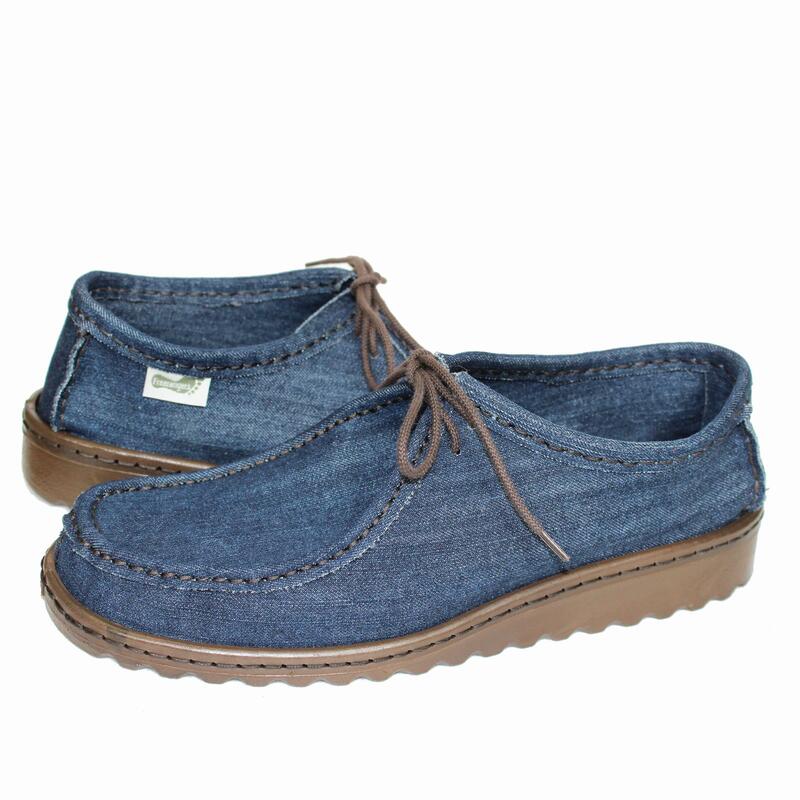 The Mens shoes are made from 2 layers of Denim material which make them firm, yet very light and breezy. These are ideal for sunny days. 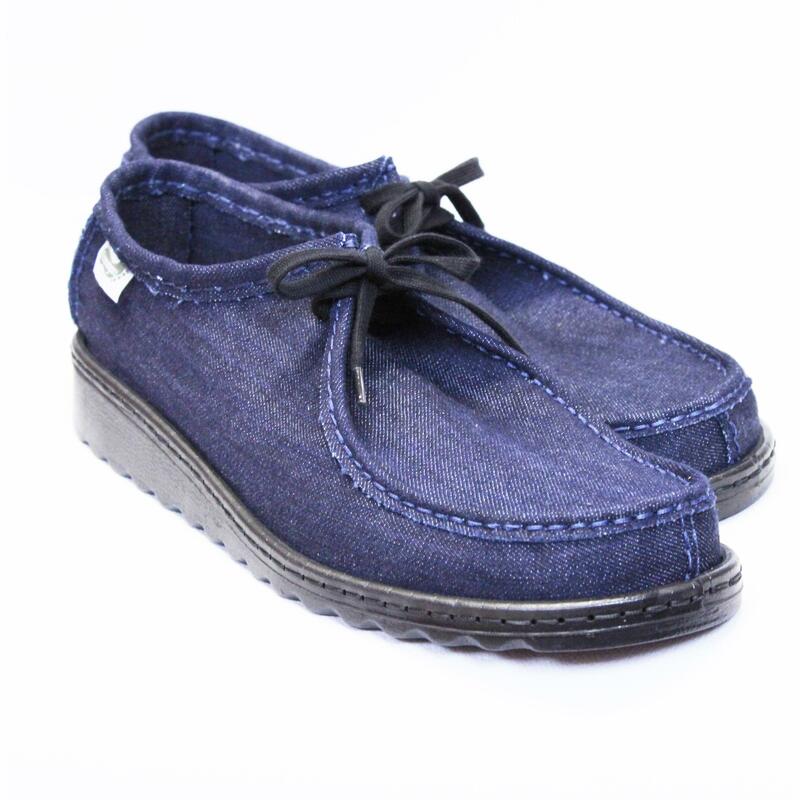 Perfect for all of you who like light, comfortable shoes.Hand sewn all way round with strong waxed thread. You can request cream, brown or black soles, any colour of laces and any colour of thread. You can request brown or black soles, any colour of laces and any colour of thread. Shown in Dark Denim, also available in Light and Black recycled denims.